An essential and short guide for those who need to know more about fire safety and management without wanting to spend hours reading dozens of different documents. Whether it's for use alongside a training course or simply to brush up on your knowledge, it's perfect for equipping you with the principles of fire safety. 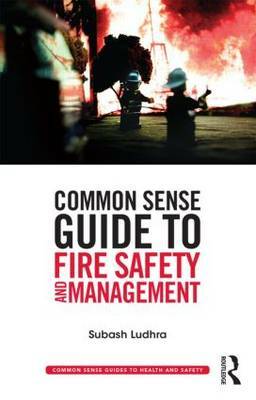 Friendly and accessible, this Common Sense Guide covers all the main aspects of fire safety and management in manageable chapters to provide you with the knowledge and understanding you need to look after yourself and others. Suitable for those with little understanding of fire safety and managementIncludes questions at the end of each module to consolidate your fire safety knowledge Certificate offered to those who complete the exam at the end of the book and return to be marked externally.